The leader of SEAL Team 6 uttered, Geronimo, and the world let out a sigh of relief. The symbol of ultimate evil was no more. 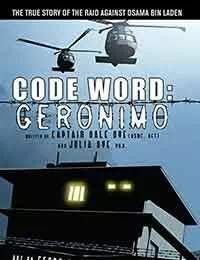 Code Word: Geronimo is the amazing, moment-by-moment story of the clandestine raid on Osama bin Ladens compound in Abbottabad, Pakistan. Told by military insider and Hollywood consultant, Captain Dale Dye (USMC, Ret. ), with Dr. Julia Dye, Ph.D., this historic tribute details the bravery and valor of SEAL Team 6 as it descends into a foreign land and achieves the near impossible.